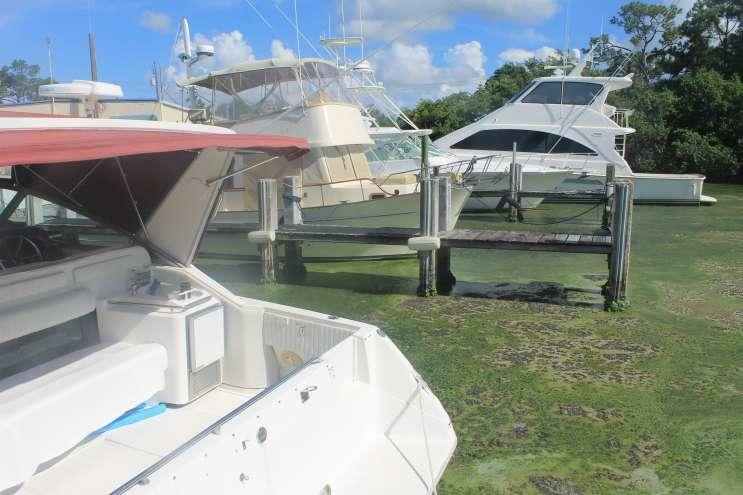 A bloom of red tide algae has swept in from Naples to Tampa, killing marine life and tourism in its path. Respiratory irritation and murky clumps of red drift algae have been reported from Collier to Sarasota counties. 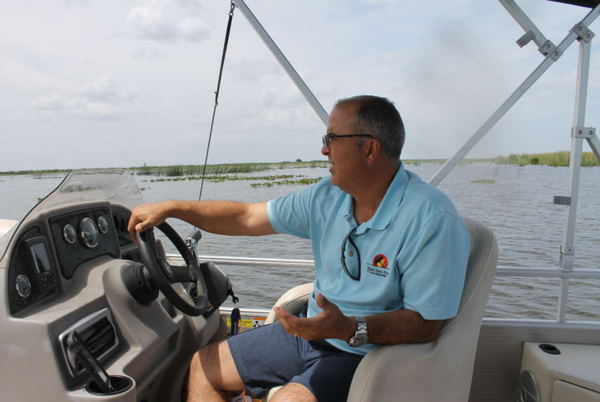 "We came for the shark teeth, but we're going to have to move somewhere else," said Sol Whitten, who came from a county north of Tampa with his wife, six grandchildren and his daughter-in-law. 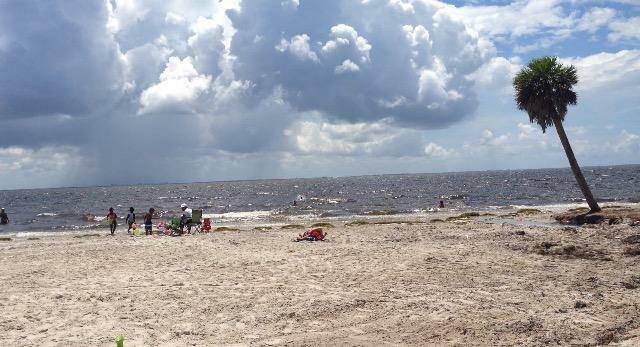 Respiratory irritation and murky clumps of red drift algae have been reported from Collier to Sarasota counties on Florida's west coast, which is usually known for its stunning beaches. Also this week, a manatee in distress from exposure to red tide in southwest Florida was taken to SeaWorld Orlando for rehabilitation. Officials documented 287 sea turtle deaths in Gulf of Mexico waters coast since the toxic bloom started in October. The Florida Fish and Wildlife Commission reports that dead fish have been found in Pinellas, Manatee, Sarasota, Charlotte, Lee, Collier and Monroe counties and include such species as grouper, trout, eel, snook, tarpon, hardhead catfish and assorted baitfish. 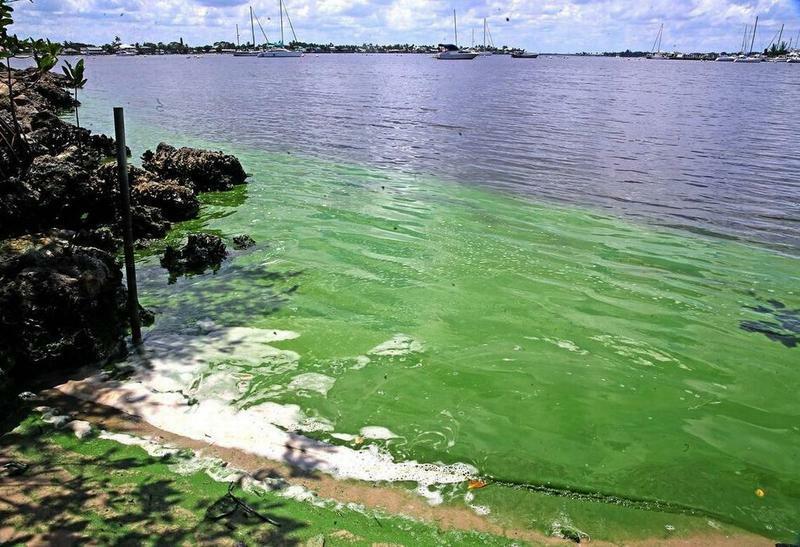 Algal blooms can start about 40 miles offshore and come to the surface with rising water. Their movement is dependent upon currents and winds, said Tracy Fanara, a staff scientist and program manager at Mote Marine Labratory & Aquarium in Sarasota. Currents may push the blooms to shore and chemical conditions on the shoreline can help the algae sustain itself. The toxin in red tide is dispersed into the air when bubbles in sea foam pop, Fanara said. The toxin affects marine life and causes respiratory irritation in humans and animals. This is not the first time red tide has been so intense. Fanara said there was an 18-month bloom that spanned the state from 2004-2006. The FWC reports that this recent bloom has been monitored since November.